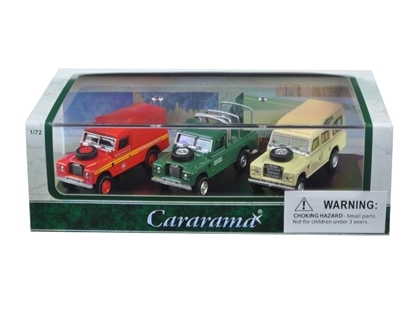 Brand new 1:72 scalediecast car model of Land Rover 109 Series III 4pc Set Red,Blue,Green,Beige die cast car models by Cararama.Detailed interior, exterior. Dimensions of each model is approximately L-2.25 inches long. Brand new 1:72 scalediecast car model of Volkswagen Bus 3 Piece Gift Set in Display Showcase die cast car models by Cararama.Volkswagen Van Samba. Volkswagen Bus Samba. 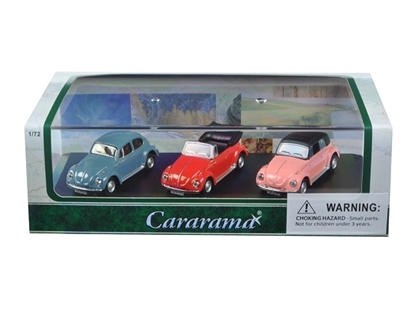 Brand new 1:72 scalediecast car model of Volkswagen Beetle 3 Piece Gift Set in Display Showcase die cast car models by Cararama.Volkswagen Beetle. Volkswagen Beetle Cabrio. 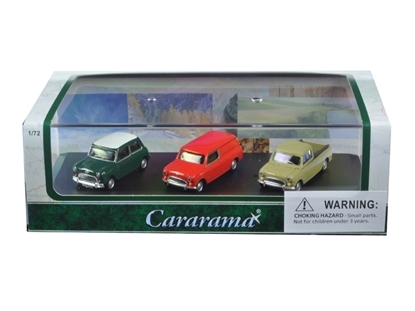 Brand new 1:72 scalediecast car model of Mini Cooper 3 Piece Gift Set in Display Showcase die cast car models by Cararama.Mini Cooper. Mini Panel Van. 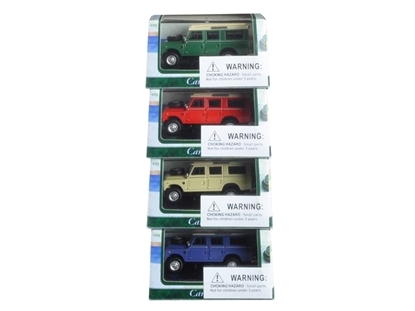 Brand new 1:72 scalediecast car model of Land Rover 3 Piece Gift Set in Display Showcase die cast car models by Cararama.Land Rover 109 Soft Top. Land Rover 109 Open Top. 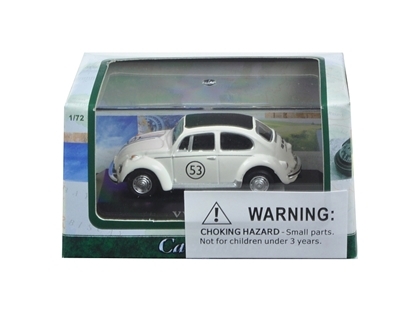 Brand new 1:72 scale car model of Volkswagen Beetle #53 in Display Case die cast model car by Cararama.Detailed Interior, Exterior. Dimensions Approximately L-2 Inches Long. 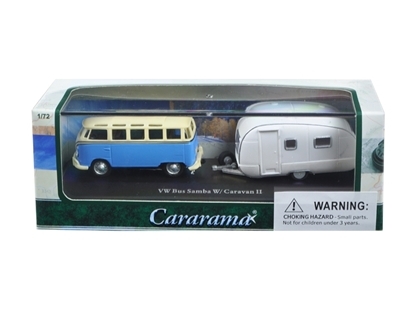 Brand new 1:72 scalediecast car model of Volkswagen Bus Samba Blue with Caravan II Trailer in Display Showcase die cast car models by Cararama.Brand newbox. Detailed interior, exterior. 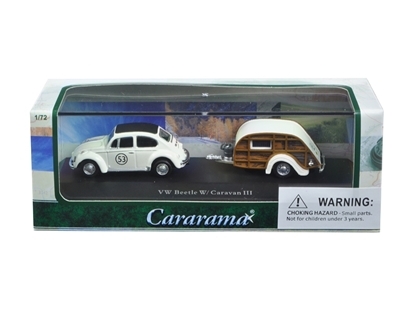 Brand new 1:72 scalediecast car model of Volkswagen Beetle #53 with Caravan III Trailer in Display Showcase die cast car models by Cararama.Brand newbox. Detailed interior, exterior. 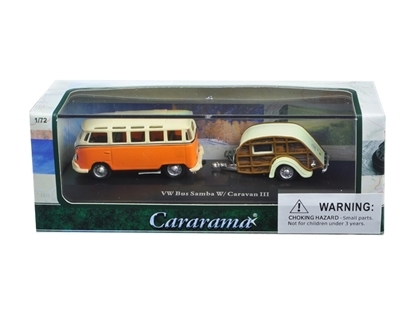 Brand new 1:72 scalediecast car model of Volkswagen Bus Samba Orange with Caravan III Trailer in Display Showcase die cast car models by Cararama.Brand newbox. Detailed interior, exterior. Volkswagen Beetle.Volkswagen Samba. 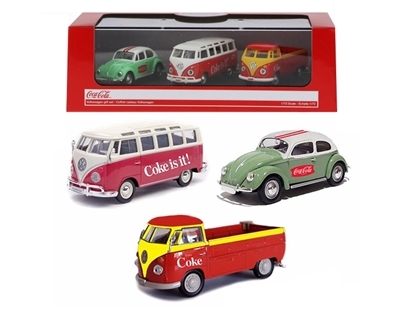 Volkswagen T1 Pick Up.